Tilly: “Today we travelled in the school minibus to Pfizer. We started with an introduction presentation followed by a presentation about Drug Development, which were both extremely interesting. 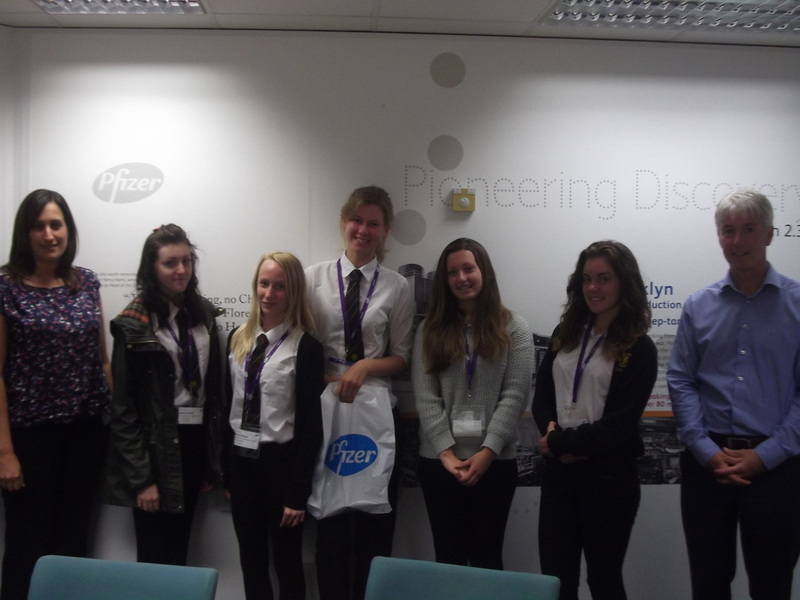 We then went on for a tour around the pharmaceutical sciences, material sciences and high end analytic laboratories. We had to wear lab coats and goggles which was quite fun. We had a tasty lunch whilst having a discussion about the business. We were then taken for a tour of the solid dose manufacturing and we had to wear blue lab coats, with hair nets, shoe covers and gloves as well as goggles for strict safety reasons which meant we were also unable to wear make up, jewellery and also nail varnish. We then had a Q &A with women in science and engineering before we headed off back to school.